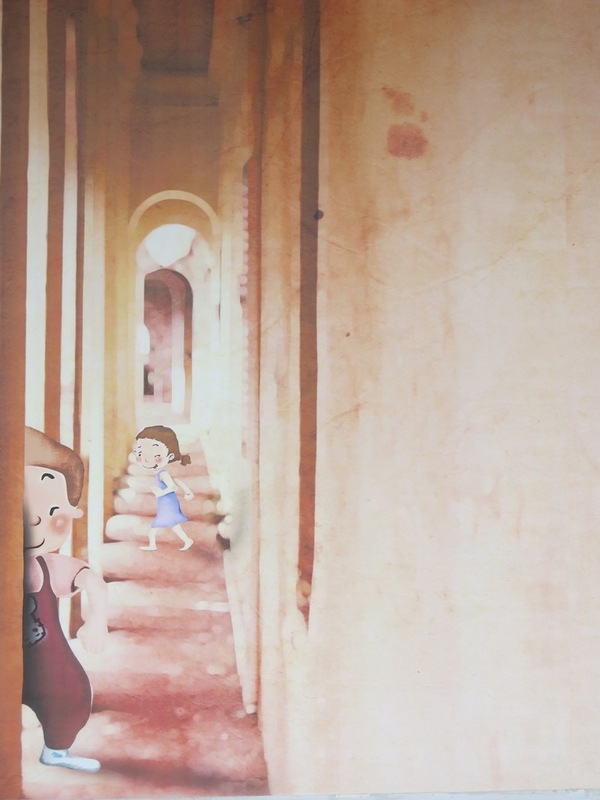 The search made us walk all over the streets of Georgetown in Penang, Malaysia. 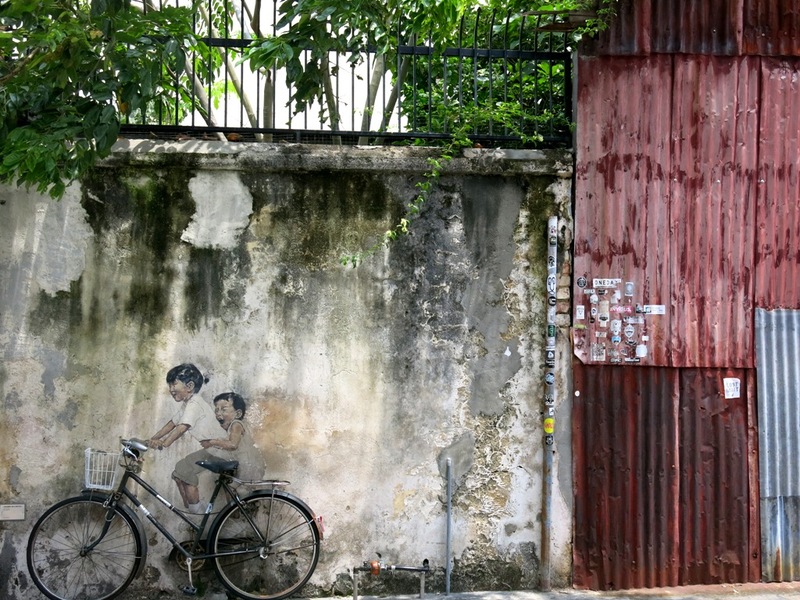 We spent hours scouring through different streets, walking under the hot, sweltering sun, testing our patience with each other as we navigate our ways through the same streets again and again in search of more street art. We armed ourselves with a map, these street art locations conveniently mapped out and duly crossing out each one as we found it. It took us all over Georgetown but the sun, the humidity and the long walks eventually took a toll on us. The search became routine – find one, take photos, cross out on the map and move on to the next one. Took a much needed break and continued on for more. And then, I gave in. I gave up. All I wanted to do was to go back to our hotel and stay there for the next few hours. I was tired, sweaty and getting darker the longer I was in the sun. Curiosity lured us in and we found one not on our map. 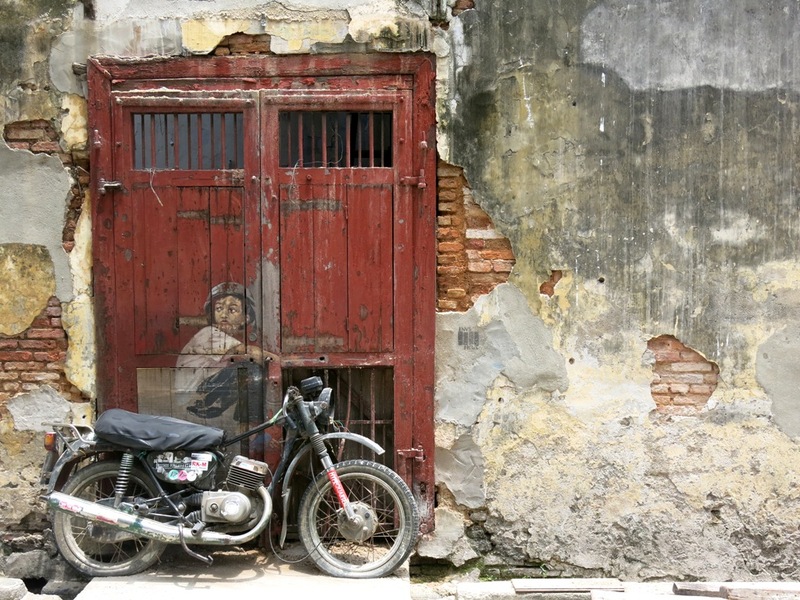 It surprised us to find out that we didn’t really have the most updated map of these street art in Georgetown after all. We ended up back at the hotel right after that. 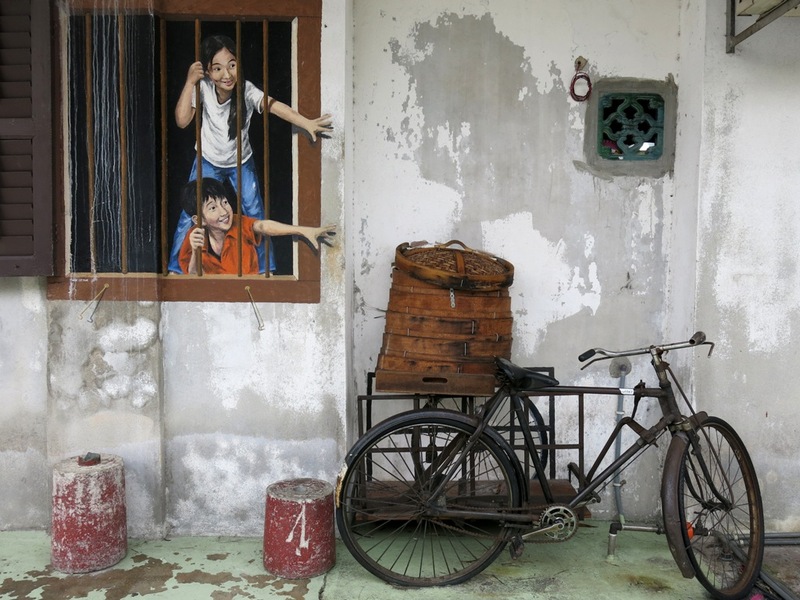 It is very interesting to see these, what is the history behind the sreet art? These are AMAZING. Worth the sweat. And I can say that because I didn’t have to sweat at all to enjoy your images, lol. Thanks for sharing these. A gold mine. Lol “getting darker the longer I was in the sun.” 🙂 I’ve been the Penang but honestly haven’t seen a single one of these! Have they always been there? Ha! I am really terrible at seeing “touristy” things when traveling. 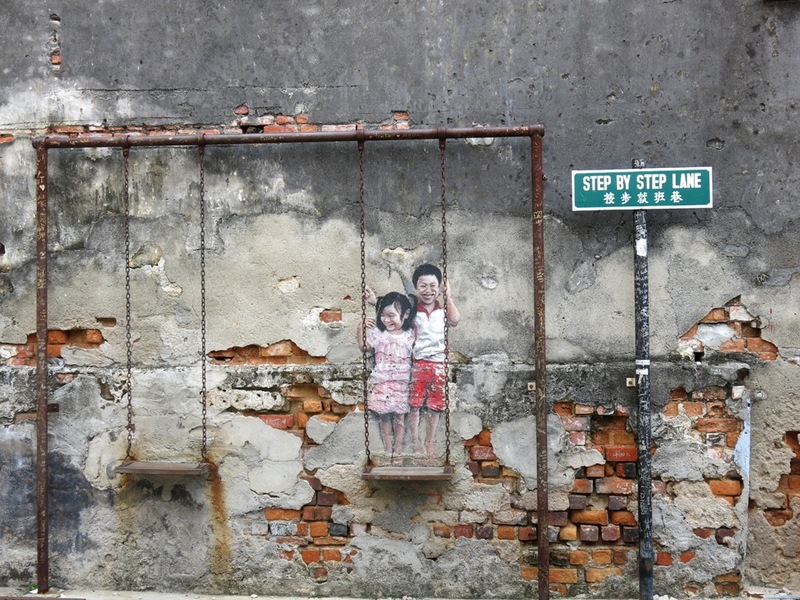 I love street art and I loved all of the pictures in the post – especially the one of the children on the swings and the fact it is located on ‘Step by Step Lane.’ I have a question though – Which one was located inside the coffee shop? Was it the last one? The heat in Penang is seriously brutal. I spent a couple days just wandering around aimlessly, looking for street art. And while it was so worth it, I don’t think I’ve ever been so incredibly hot and sweaty in my life!! wow. i had no idea about this! I wish I had known when I was there! Highly impressive street arts!!! Combinations of real things and graffiti, right? Hard to tell. That makes it real impressive. We had the same experience when I wanted to scavenge most of the street arts in Venice Beach, which is a lot, lot, lot. Thanks for the post, Sha!